A Donald Trump anti-Clinton speech has been cut short by the pastor of a Michigan black church. Rev. Faith Green Timmons interrupted Donald Trump as he attacked his Democratic rival’s support for global trade deals. “Oh, oh, OK, that’s good,” Donald Trump responded, shuffling papers on his podium. 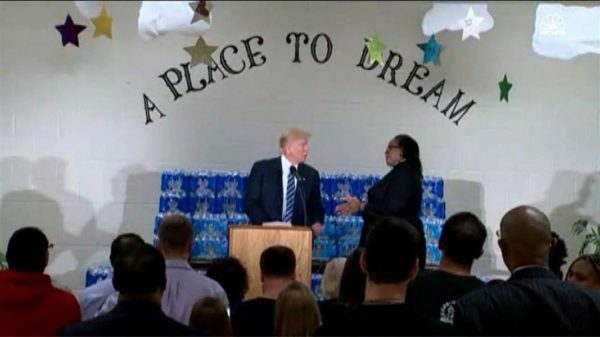 Donald Trump went on to make a few remarks about fixing Flint’s drinking water problems, but some in the crowd began to heckle. One woman shouted out that Donald Trump had used discriminatory housing practices in his buildings. Donald Trump abruptly ended his speech, which had lasted six minutes. Dr. Lisa Bardack: "Hillary Clinton Is Healthy and Fit to Serve as US President"